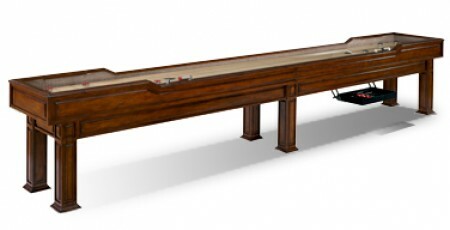 Whether you’re a first time shuffleboard buyer or a seasoned veteran looking to purchase a table for your home or business, our Landon shuffleboard table is a stylish, durable and boasts a sleek design with classic charm. 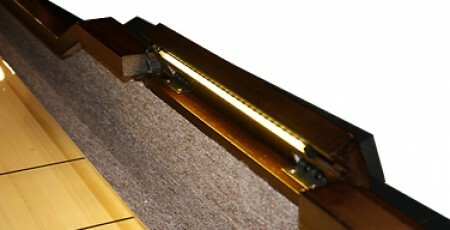 The Landon has bold routered lines in solid wood, a 3” x 15’ playfield and built in LED lights. 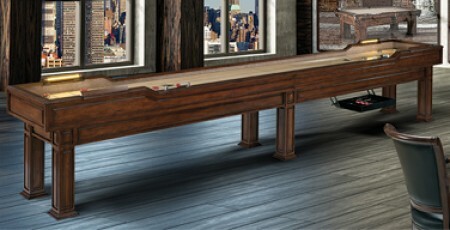 This shuffleboard beats the competition in quality and durability and is backed with Legacy’s lifetime warranty. 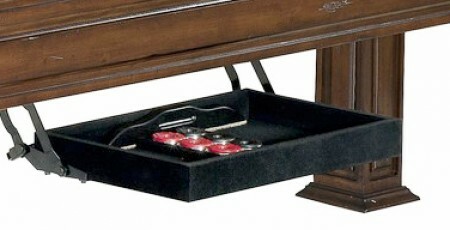 For storage of your pucks, brushes, and other accessories, the Sterling Shuffleboard table provides the Perfect Drawer, a glide in storage drawer mounted under the table. 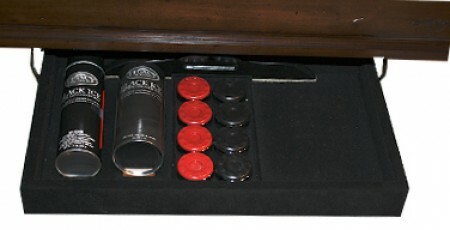 To compliment your game room, Legacy suggests the 92″ Sterling bar with matching barstools or the Signature game set, with a finish to match your Landon Shuffleboard.